If it hasn’t already, your daily routine will soon undergo a massive makeover. For starters, when your alarm clock goes off, it will tell your coffeemaker to start brewing your morning joe. Then, when you’re on the way to work, your car will detect heavy traffic and send a text message to your boss, letting her know you’ll be late. When you arrive, you’ll print out the agenda for today’s staff meeting, at which point your printer will check how much ink it has left and automatically order its own replacement cartridges. At lunch, you’ll think about dinner and use your smartphone to start the roast that’s waiting in your slow cooker at home. And when you come home a few hours later, your house will know you’re near, automatically turning on the lights, the heat, and the TV—channel changed to the evening news—prior to your arrival. It will be marvelous, and you’ll owe it all to the Internet of Things (IoT). Artist rendering of Array of Things nodes mounted on city streetlight poles. 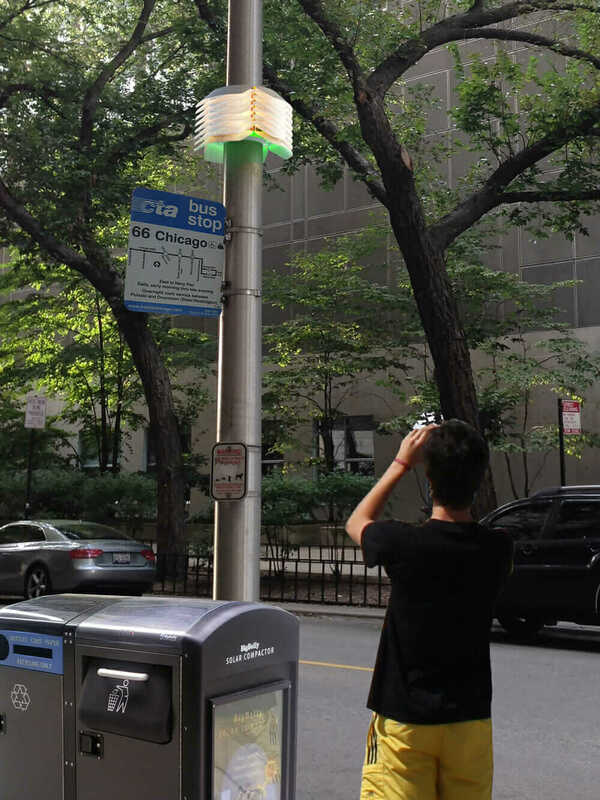 The AoT is an urban-sensing instrument, measuring data on cities’ environment, infrastructure, and activity in order to scientifically investigate solutions to urban challenges ranging from air quality to urban flooding. Courtesy Douglas Pancoast and Satya Mark Basu, School of the Art Institute of Chicago/AoT. The IoT won’t just make your life easier; when it’s embedded in cities the same way it’s embedded in homes, cars, and offices, it also has the potential to make your life better. That’s the hypothesis in Chicago, where a project is underway to establish wireless sensor networks capable of measuring a city’s vitals in the same way a fitness tracker measures an athlete’s. “This is a Fitbit for the city that will allow us to collect a really wide array of environmental data . 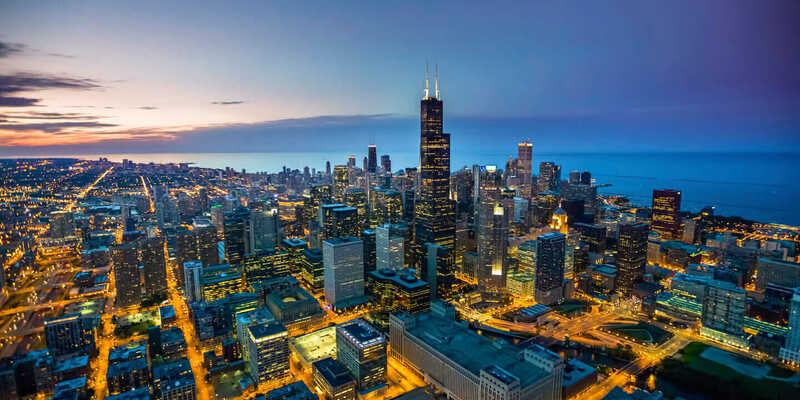 . . which will help us make better decisions about what types of infrastructure to invest in,” City of Chicago Chief Information Officer Brenna Berman told local business publication Crain’s Chicago Business. Called the “Array of Things” (AoT), the project is a collaboration of the University of Chicago and Argonne National Laboratory—which have formed a joint venture known as the Computation Institute—along with the School of the Art Institute of Chicago, Northern Illinois University, and the University of Illinois at Urbana-Champaign. 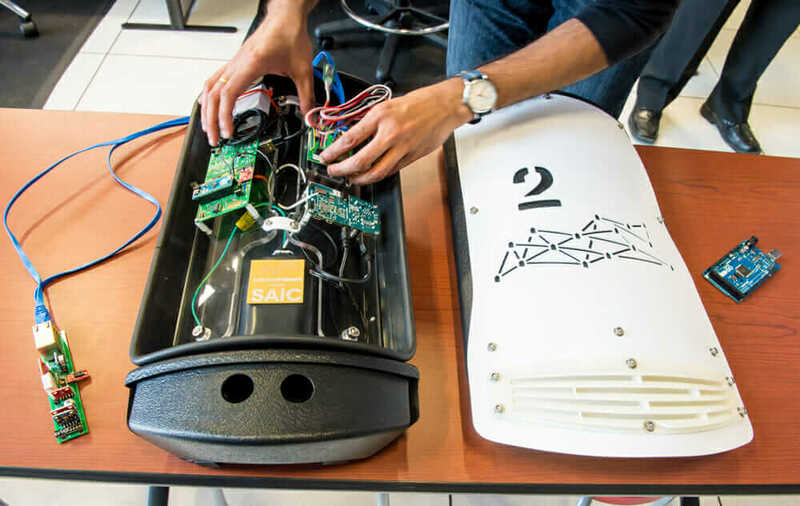 All of these institutions have contributed to a multidisciplinary team of designers, engineers, and scientists who are pioneering the concept of distributed sensor networks in cities, starting with the Windy City. 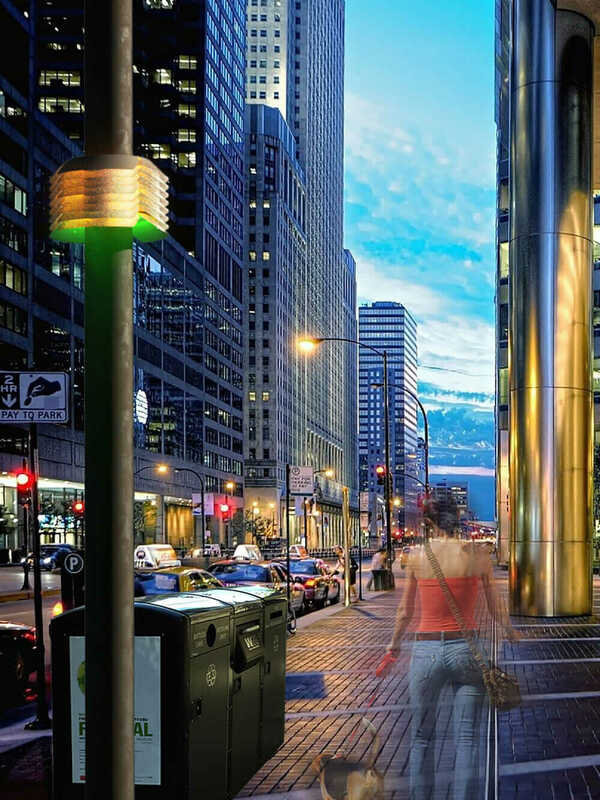 Funded by a $3.1 million National Science Foundation grant, their work initially will comprise 500 modular sensor boxes, called “nodes,” installed across Chicago by the end of 2017. 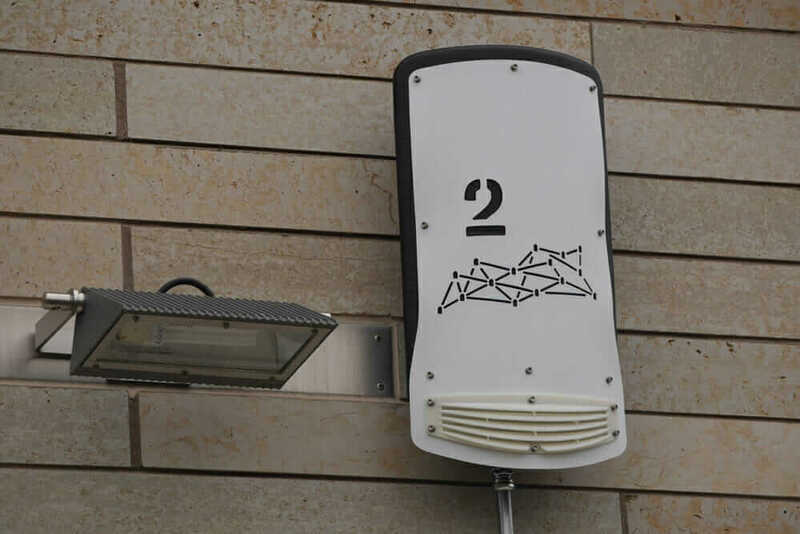 Inside each one, a bundle of sensors will collect a litany of urban intelligence, including 24-7 data on traffic, air quality, weather, and noise. AoT node prototype. Courtesy University of Chicago and Argonne National Laboratory. Measuring cities will help scientists and policymakers improve them by making it possible to prioritize urban projects based on which ones will have the greatest impact. Just as important, facilities like AoT will help cities measure the outcome of major investments in areas such as air quality, urban heat island effect, and walkability. AoT changes that with data streams from three different families of sensors: environmental sensors, which will measure temperature, humidity, barometric pressure, light, noise, and vibration; air-quality sensors, which will measure the presence and concentration of up to eight different gases, including pollutants like ozone, carbon monoxide, and nitrogen dioxide; and activity sensors, which will monitor for standing water and urban flooding while counting pedestrians, bicycles, cars, trucks, and buses. Rendering of the AoT in Chicago. Courtesy Douglas Pancoast and Satya Mark Basu, School of the Art Institute of Chicago/AoT. AoT’s community partnerships represent a sort of covenant with citizens, whose privacy concerns are an issue that the project takes very seriously. Installation of AoT node prototype. Courtesy University of Chicago and Argonne National Laboratory. Although nodes’ design and placement is still being finalized, positive impact on Chicagoans’ daily routine is palpably near. By the end of the first quarter of 2016, 50 nodes will be installed across the city. By the end of the second quarter, 150 more will be measuring Chicago neighborhoods. And by the end of summer 2017, an additional 300 nodes will grace city streets. Once enough data is aggregated, the city will be able to leverage it to improve city services and infrastructure while citizens will be able to leverage the data to avoid asthma triggers on their way to work, receive “block-by-block” weather forecasts, and determine safe and efficient routes for walking late at night. “If you’re somebody who’s into the quantified self and the Internet of Things, you’re going to be excited by the notion that you’ll be able to look at the end of the month not only at the number of steps that you took but also at your exposure to carbon monoxide and excessive noise,” Catlett says.